The Sip Advisor has gone through numerous sidekicks over the years. I don’t have a good safety track-record with my associates and therefore find it hard to reel in replacements. Perhaps these guys and gals are looking for work. If so, please submit your resumes and head shots (females only) to Sip Advisor Headquarters, PO Box 84148. Best of luck to those applying! 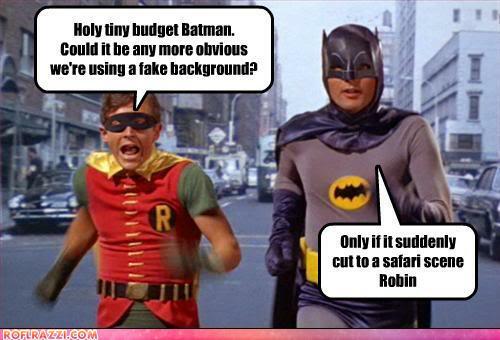 Batman can get a lot of crazy stuff done on his own, but add in Robin and you have quite the dynamic duo. The ‘Boy Wonder’ is the quintessential sidekick. He knows his role as the number two and doesn’t overstep the boundaries of his part… except for his constant “holy, [insert something to do with their current predicament], Batman” musings. Without Dr. Watson around, surely Sherlock Holmes would go insane under the weight of his own superior intelligence. Watson is the calming force that helps Sherlock work his way through mysteries and there’s the odd time where the good doctor’s problem solving ability is crucial in cracking a case. Mmmm, cracking a case… right, we’re not talking about beer. 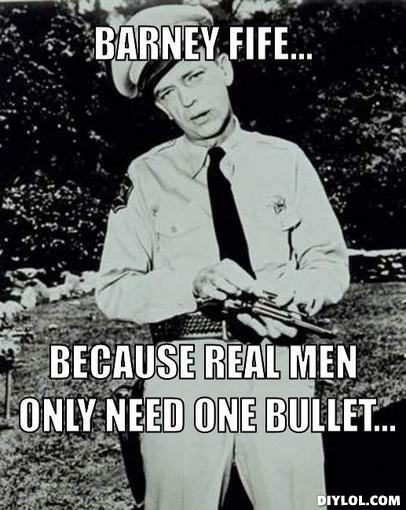 While Sheriff Andy Taylor was the straight man and level-headed leader of the Mayberry Police Department, his counterpart, Deputy Barney Fife was his inept, hapless partner. Together, they made a good pairing that kept the town safe and orderly, although Fife usually needed Taylor’s help to keep him safe from himself. While Dale is the kind of sidekick that causes more issues than he solves, he certainly keeps things interesting for best friend Hank. Dale’s paranoia has frequently got the best of him and one has to wonder if his career as a pest removal specialist – and all those toxic chemicals – isn’t to blame for some of his delusions. Hank has to reel his friend in from time to time, which is easy for the serious leader. And everything’s coming up Milhouse! 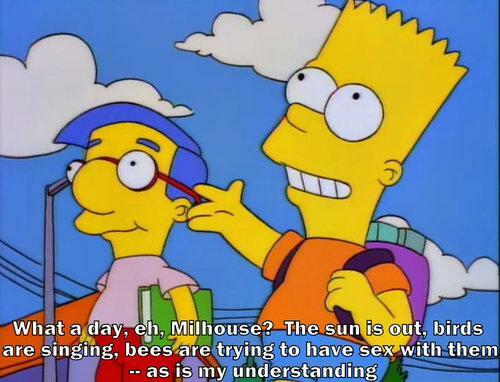 It’s hard to tell sometimes if Milhouse is friends with Bart because he likes Bart or if he just wants to remain closer to his crush and Bart’s sister, Lisa. If there isn’t some degree of friendship between the two boys, then Milhouse has gone through a lot just for his unrequited love. Bart has caused him to get into a great deal of trouble, and when pressed as to why he’s friends with Milhouse, Bart struggles to answer, saying it is largely due to “geographic convenience”. Fred’s little buddy Barney is always up for Fred’s shenanigans and despite warning him of what the end results could be, Barney often goes along with the scheme. The two pals are both members of the Loyal Order of Water Buffalos and even work together at the Slate Rock and Gravel Company quarry. That’s a lot of time to spend with one person, but if it works for them, who am I to judge? The pint-sized clone of Dr. Evil may be small in stature, but he’s just as wicked as his “daddy”. 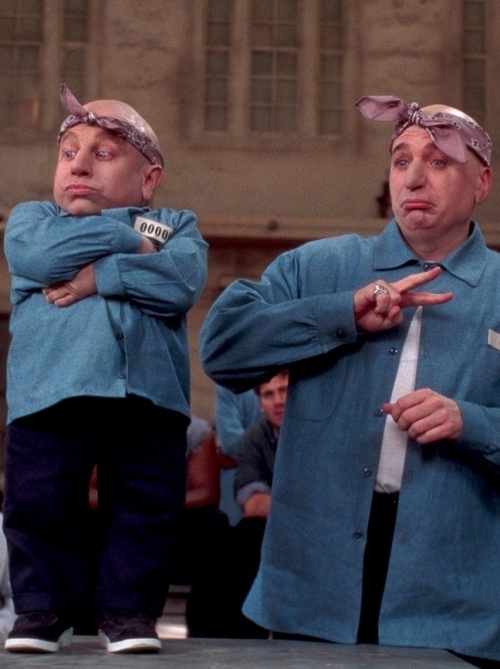 Mini-Me also has the advantage of being at a perfect level for biting adversaries in the shin or delivering a devastating low blow. You can never stay too mad at the little guy, though, because he has such a sweet grin… even if it is hiding his evil side. These two primates play off of each other so well that they have been able to keep Donkey Kong Country safe from evil crocodiles and slithering snakes on multiple occasions. Donkey Kong played the role of mentor to his young protégé Diddy, as they bashed their way over all the baddies who meant them harm. Diddy (no relation to Puff Daddy) even branched out and took the lead in his own game, letting Donkey enjoy a comfortable retirement in his banana horde. He hasn’t been seen in years! In his constant pursuit of a management position at the Dunder-Mifflin paper company, Dwight Schrute idolizes manager Michael Scott, even if his treatment at the hands of his boss isn’t always the kindest. Dwight is often placed into the role of Assistant to the Regional Manager, which he claims means Assistant Regional Manager. Meanwhile, he’s stuck doing Michael’s laundry and other menial tasks, while others are promoted ahead of him. When I was younger, Broski Sip was my sidekick and partner in crime. He’s since moved onto other endeavors, while I continue to pursue worldwide awesomeness. Mrs. Sip was offered his spot, but she declined, wanting to live a long life. So, I ask, who has the intestinal fortitude to join me in this pursuit? You will never regret it! I’m learning quickly that I really enjoy Apricot Brandy. It very nicely accentuates the already delicious Triple Sec. The cocktail, as a whole, was good and an optional sugar rim could have been added for those who want an even sweeter taste. 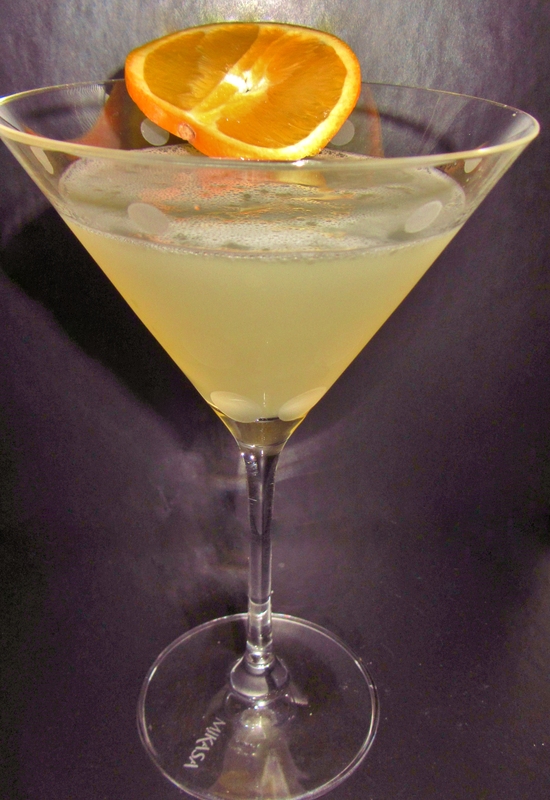 This entry was posted in Martini Recipes and tagged Aladdin, Andy Taylor, Apricot Brandy, Barney Fife, Barney Rubble, Bart Simpson, Batman, cocktail, Cointreau, Dale Gribble, Diddy Kong, Donkey Kong, Dr. Evil, Dr. Watson, Dwight Schrute, Fred Flintstone, Hank Hill, lemon juice, Michael Scott, Milhouse Van Houten, Mini-Me, orange slice, Robin, Sherlock Holmes, Sidecar, sidekicks, The Genie by Daniel Wilson. Bookmark the permalink.